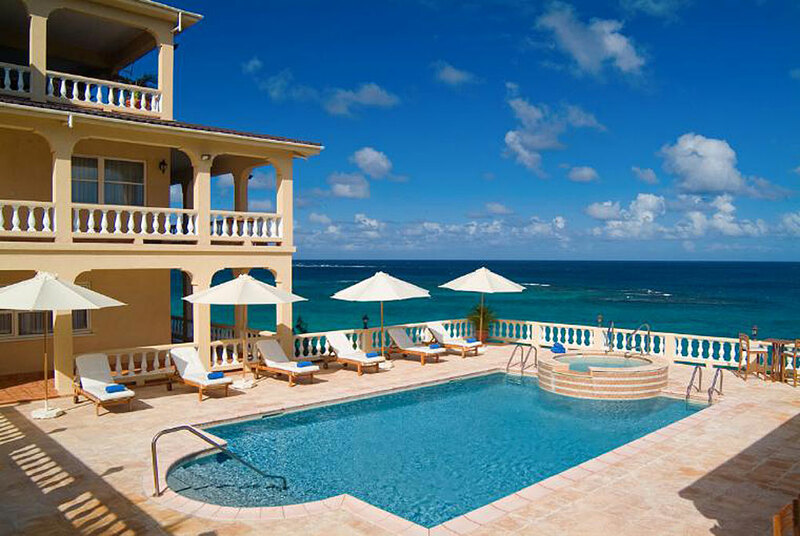 Picturesquely situated on Anguilla's southeast shoreline, Ultimacy Villa is an eight bedroom Super Villa located in the upscale neighborhood of Sea Rocks, nestled between the villages of Shoal Bay and Island Harbour. 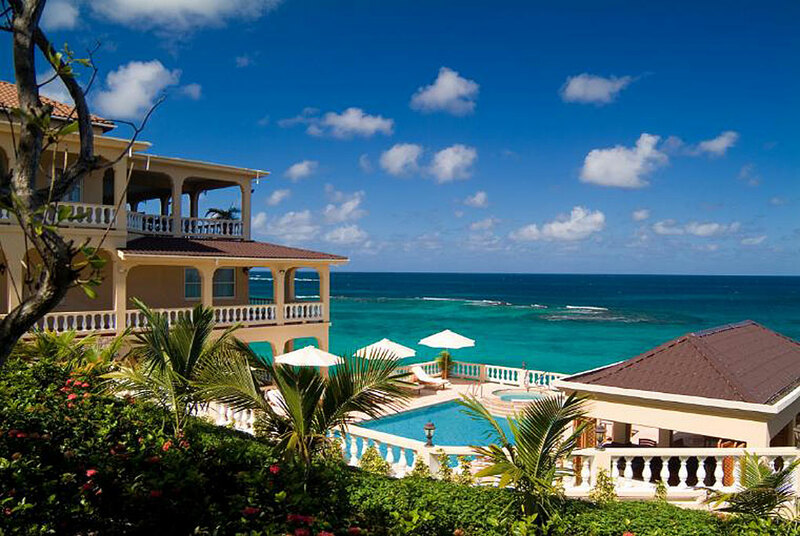 This three-story home is considered one of Anguilla's largest and most impressive villas. 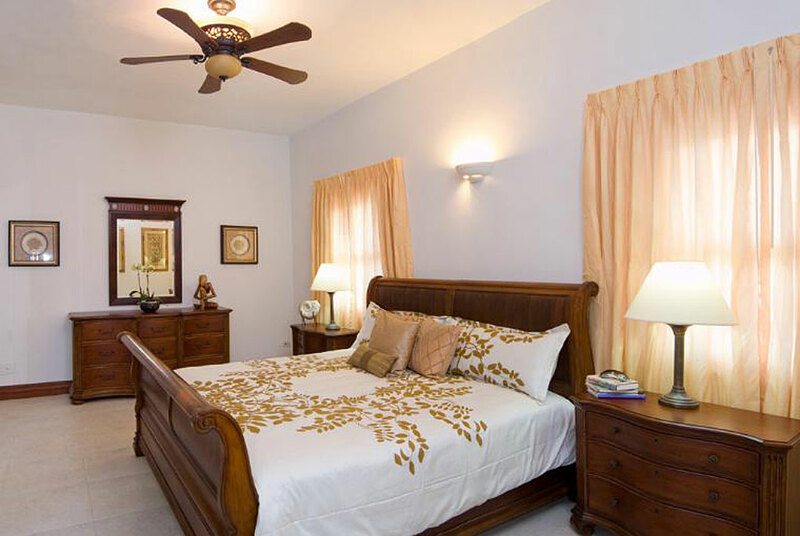 After the purchase of the property the owners immediately embarked on an extensive US$3 million renovation project which took a few years to complete. 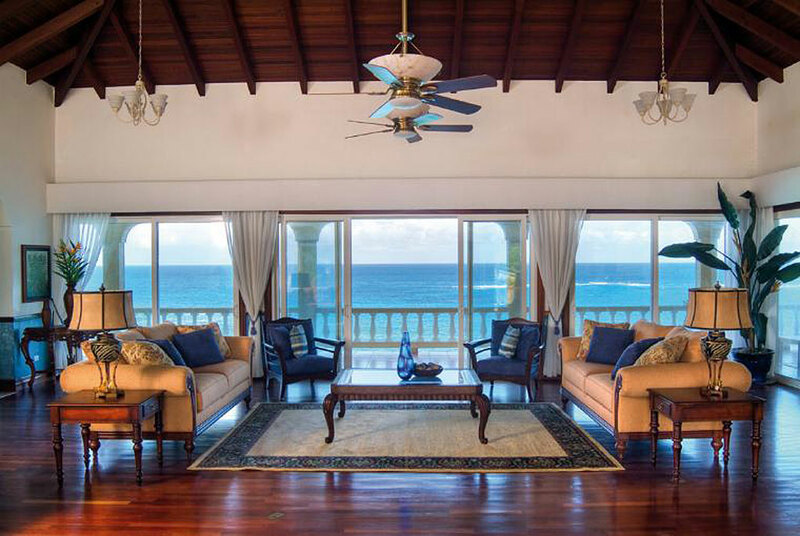 The superb villa boasts 8 bedrooms, 3 kitchens, 10 bathrooms, 3 living rooms, a large recreation room, a fitness room, 3 dining areas, 3 outdoor lounge areas and a magnificent pool pavilion which was added recently as part of the renovation and restoration efforts. 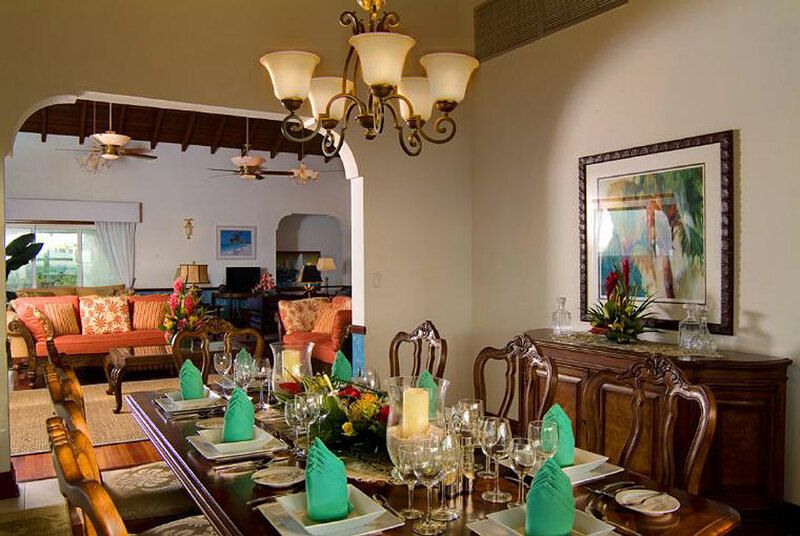 Ultimacy Villa is tastefully decorated in cool Caribbean style, and provides a staggering 20,000 square feet of indoor and outdoor living space for guests to enjoy. 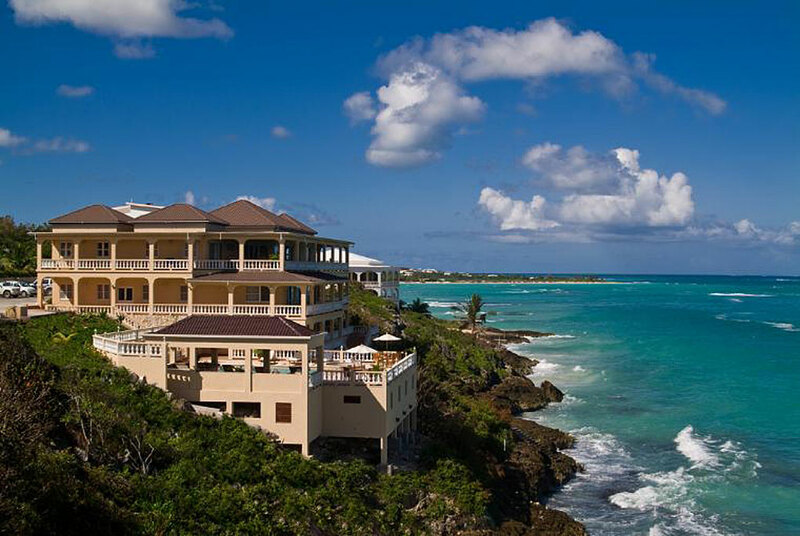 Vaunting a breathtaking view of the Atlantic Ocean, Anguilla's southeast coast and the eastern part of the famous Shoal Bay Beach, the villa can comfortably accommodate large groups and families of up to 16 guests, but can also be staged as an intimate get away for couples and honeymooners as well. 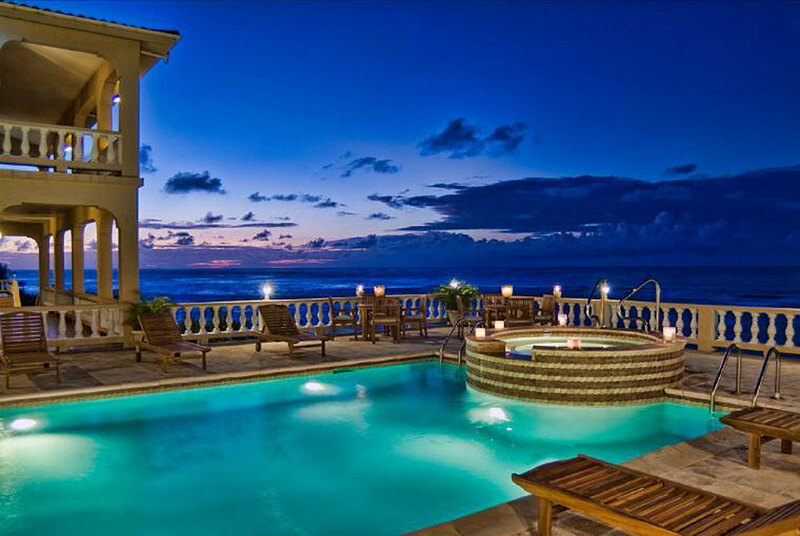 Ultimacy Villa offers a vacation villa experience like no other. 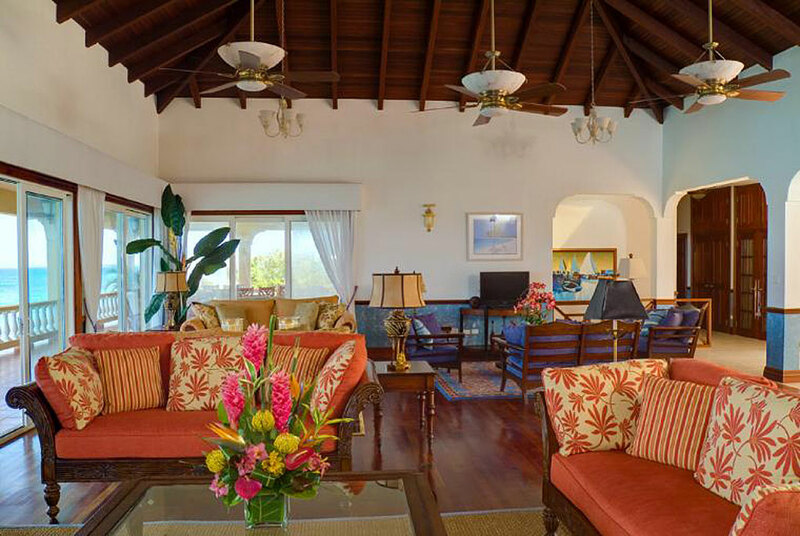 Recently renovated to the highest standards and featuring complete top quality interior and exterior appointments, this eight-bedroom villa is beautifully designed and is surrounded by lush palms and tropical flowers. 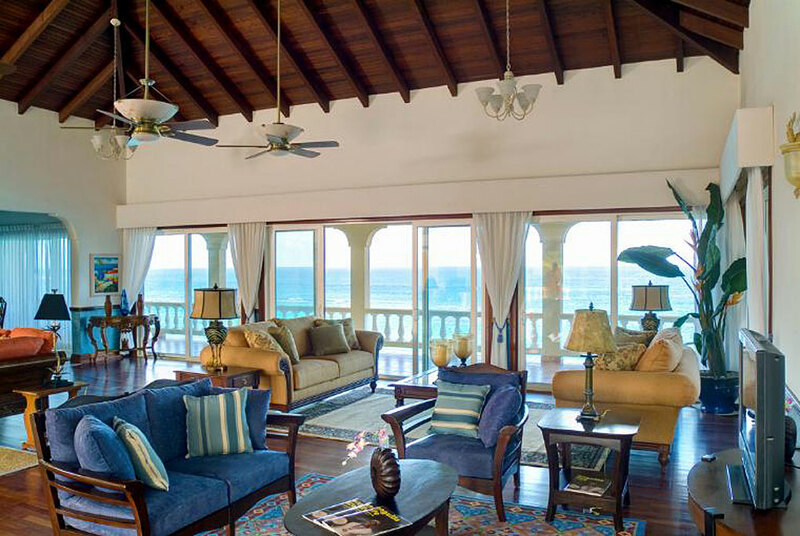 Common Areas: Great Room/Main Lounge: Located on the top floor of Ultimacy Villa, the main lounge opens up to reveal a magnificent view of the Atlantic Ocean. 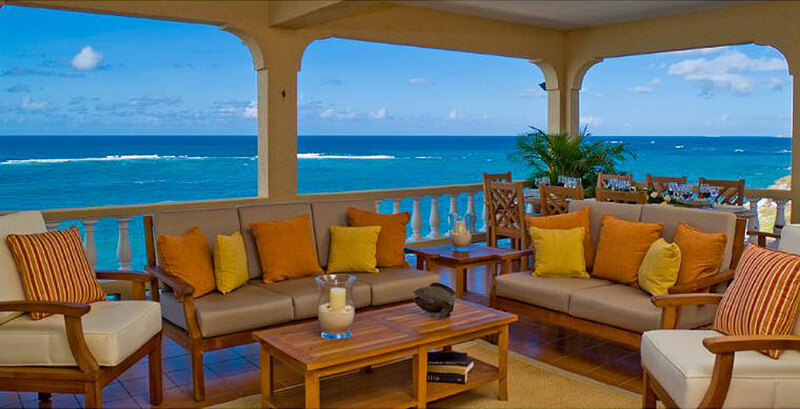 Seating options allow for conversation between friends and family or private reflection times. Amenities include a 42 inch plasma TV with cable network. DVD, VCR and CD player for your enjoyment all in a perfect setting of water hyacinth furniture, in elegant relaxing earth tones. 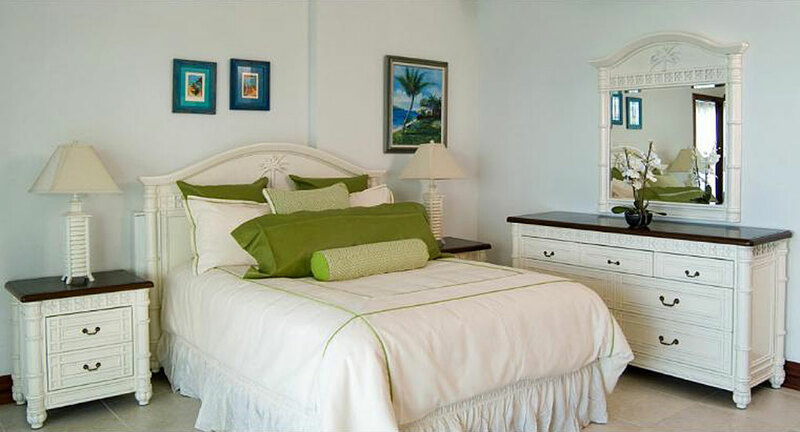 Wood accents complement rich tropical colours and textures, and exotic island art provides just the right splash of Caribbean flavor. 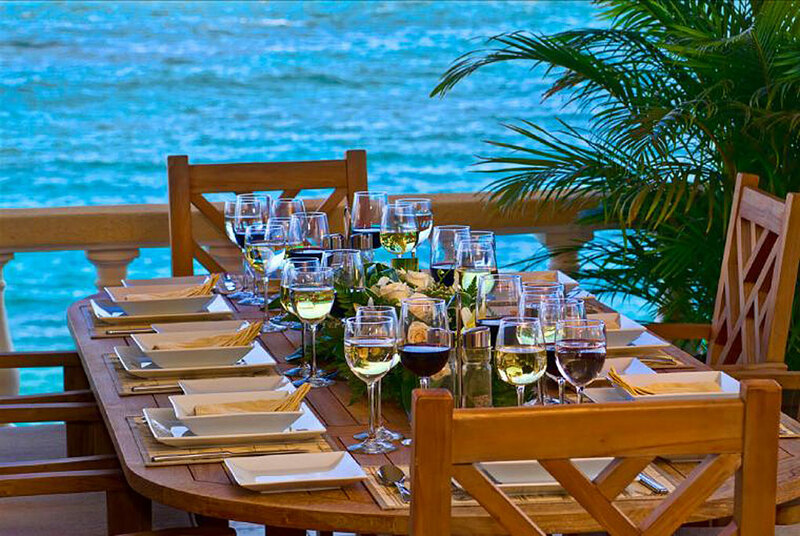 Dining: An elegantly appointed, intimate dining room with seating for up to eight persons. Excellent for formal or casual celebrations. Other patio dining spaces also available. Fabulous cuisine, exquisite tableware, fine wines from our specially selected wine list, and discreet, professional service. 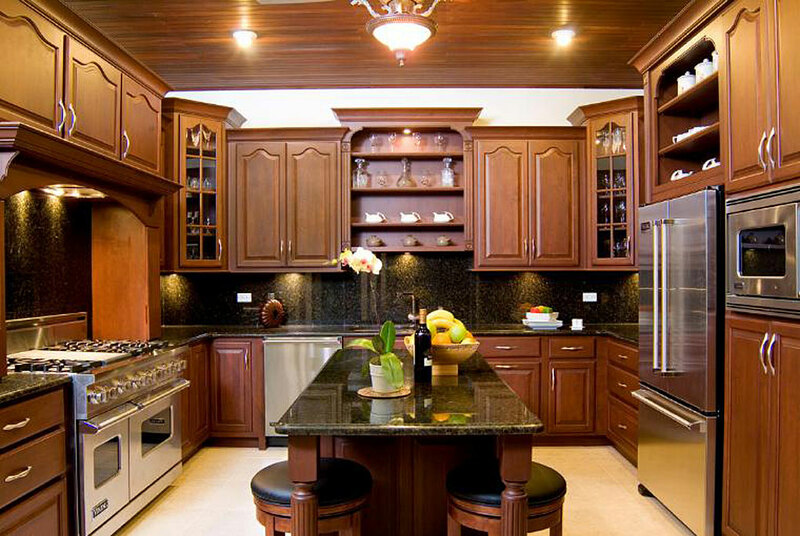 Guests are welcome to request the services of a Specialty Chef. Pool Pavilion: Designed with comfort in mind, the pool pavilion provides more than 500 square feet of elegant and effortless living space. 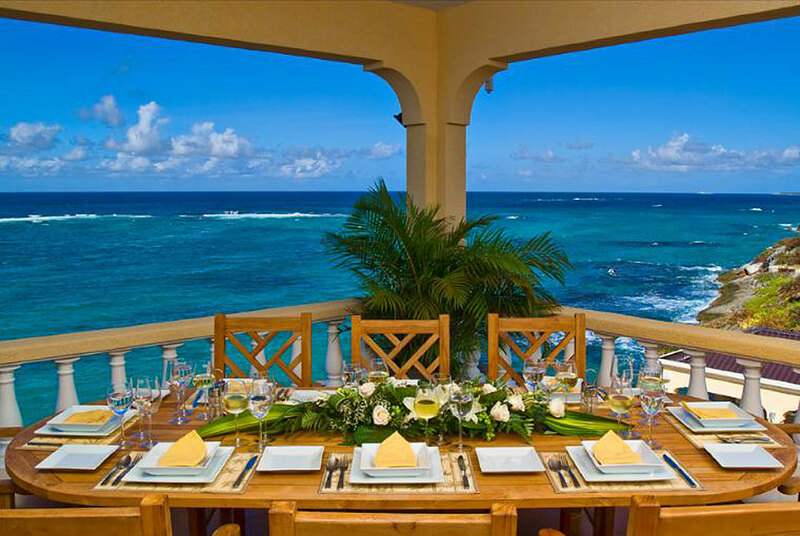 With breathtaking views of the ocean, a gazebo lounge allows for a variety of social functions throughout the day & evening. 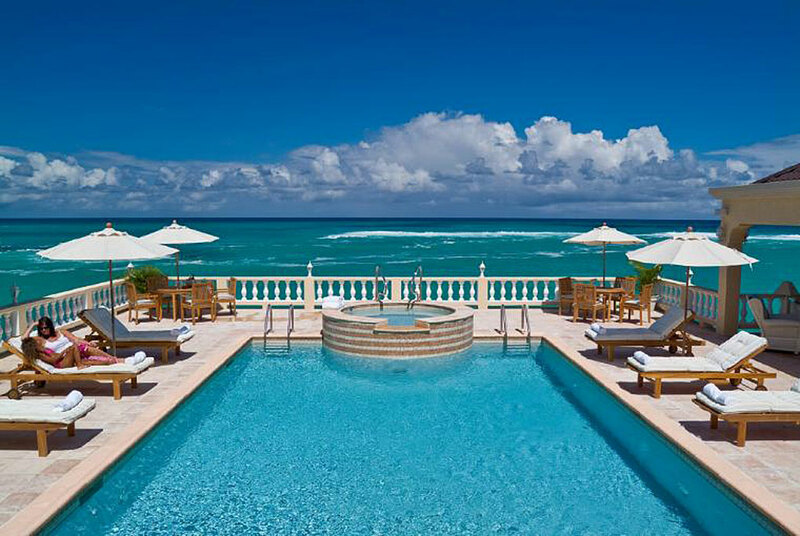 Large shade umbrellas, elegant chaise lounge seating and occasional tables surround the heated pool and deck areas, while lanterns and scented candles contribute to the romantic ambiance under a starry night. 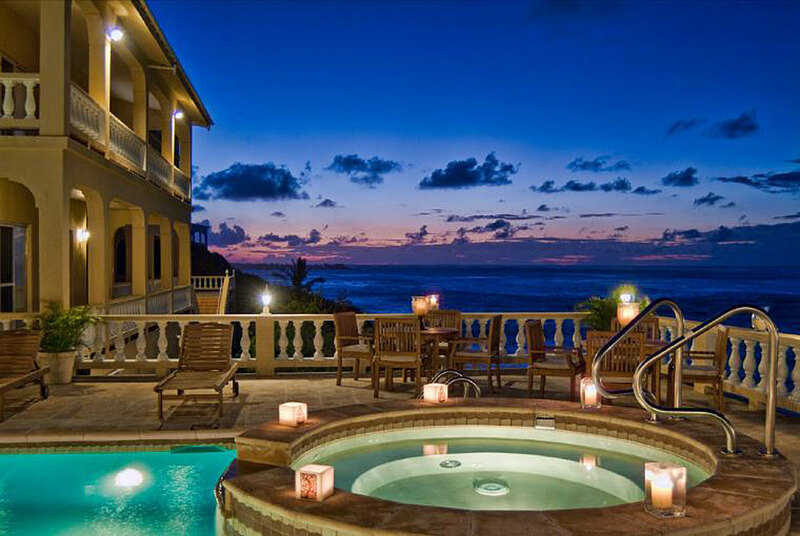 A heated whirlpool Jacuzzi offers the perfect relaxing escape day or night. 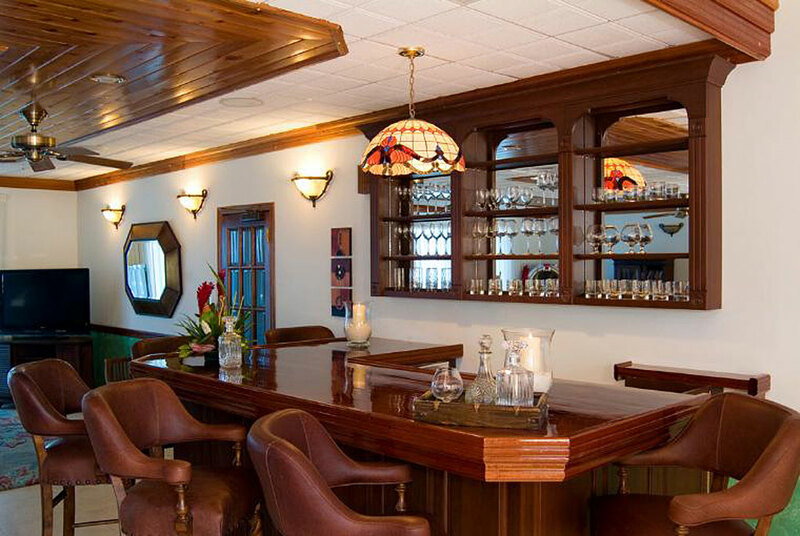 A wet bar and service counter, private powder room and shower facilities complete the experience. Recreation Room: The charming and spacious family room features a vintage style wooden bar with tall bar stools, multiple seating arrangements for television viewing on a large flat screen TV or conversation and reading, a classic Wurlitzer jukebox that evokes memories of days gone by and a computer station with high speed internet connection. 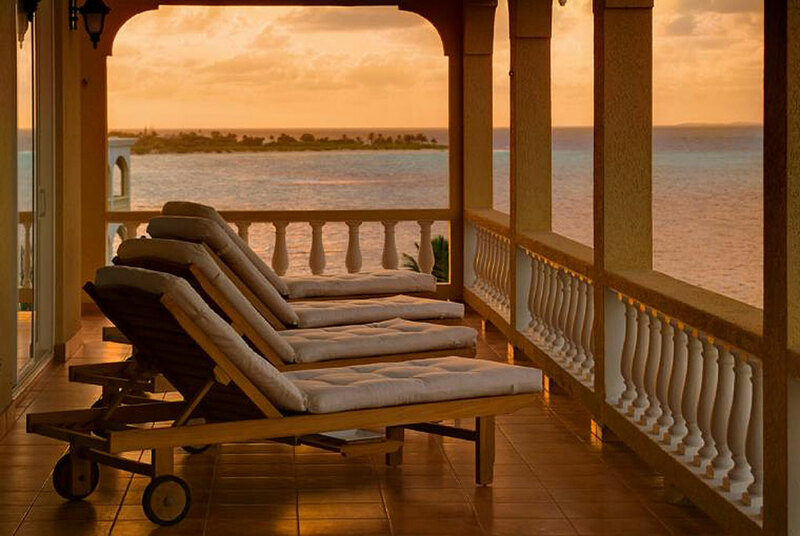 Outdoor Terraces: Each floor of Ultimacy Villa features ample outdoor terraces that offer sweeping views of the Atlantic Ocean and Anguilla's southeast coast. 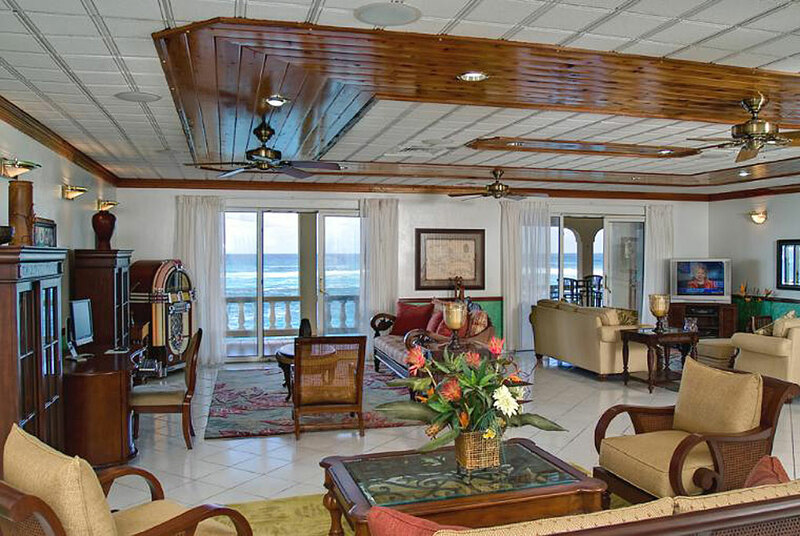 A marvelous outdoor lounge and dining area is located on the top floor with a large teak dining table with seating for up to 12 guests and a intimate lounge area where guests can enjoy the easterly trade winds. 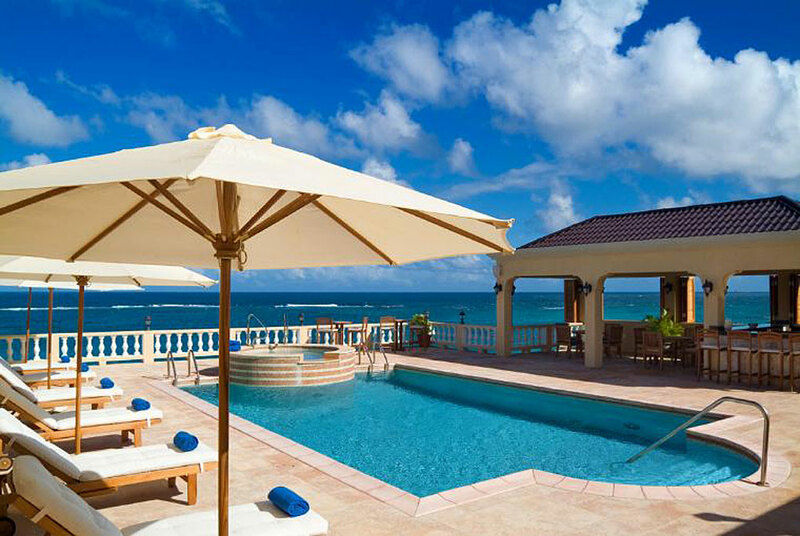 The ground floor level offers an assemblage of tall cafe tables and stools for happy hour cocktails and watching the nightly sunsets while cushioned deck chairs and private seating nooks offer even more options for outdoor comfort and relaxation on the pool level. 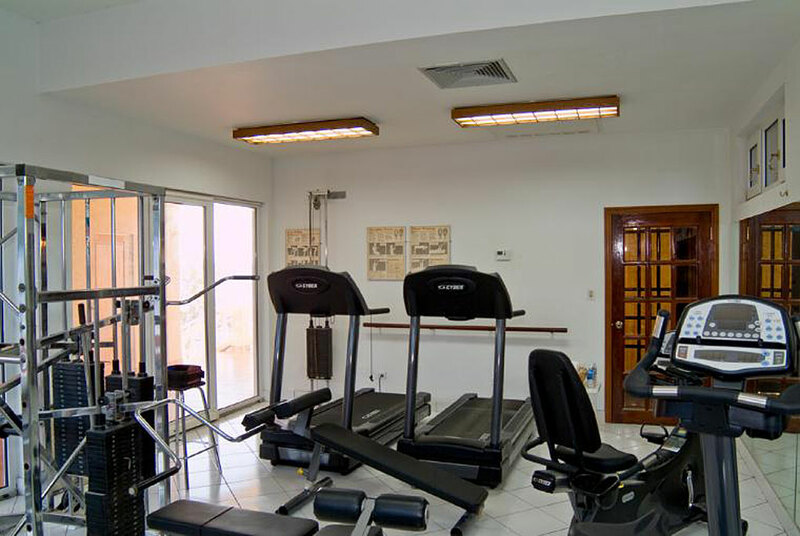 Fitness Room: For the serious fitness enthusiast or just a quick workout! State of the art equipment includes a wide range of cardiovascular and resistance training machines: Treadmills, lifecycle, recumbent cycle, step machine, Universal multi functional equipment weight machine, free weights, exercise benches cable network television and and stereo music. Continuous supply of cold water and fresh towels available. Laundry Room: On site full range of laundry facilities available including washing machine and dryer together with personal ironing boards if required. Dry Cleaning is available upon request. 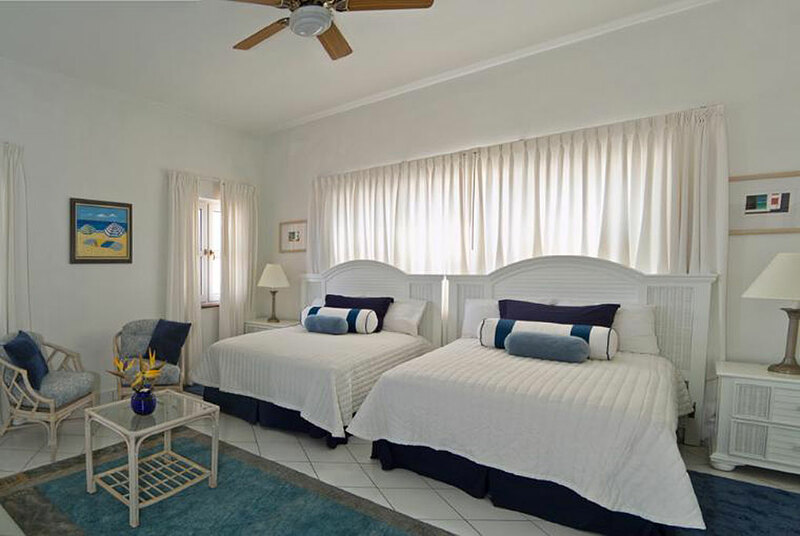 3 King Bedrooms, 3 Queen Bedrooms, 1 Bedroom with 2 twin beds and 1 bedroom with 2 double beds. 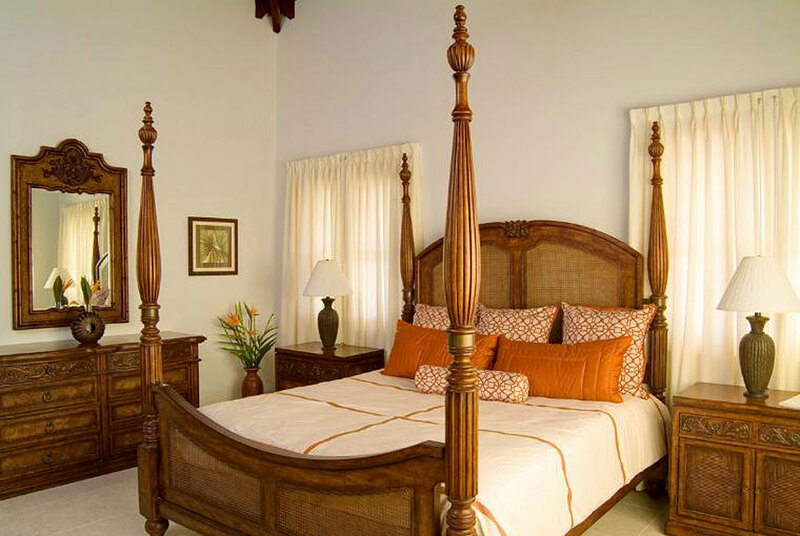 Policies: Rates quoted are per night and include all taxes and service charge. 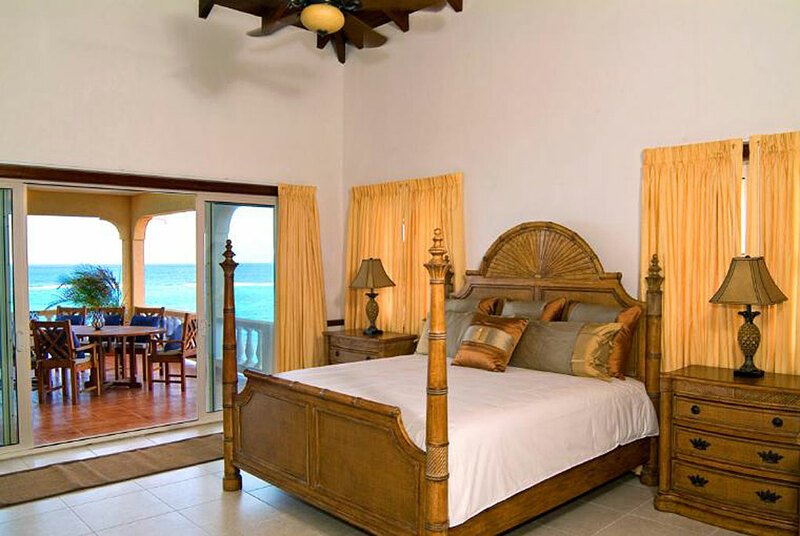 An additional $1.00 per person per night marketing levy fee is not included. Rates are in U.S. 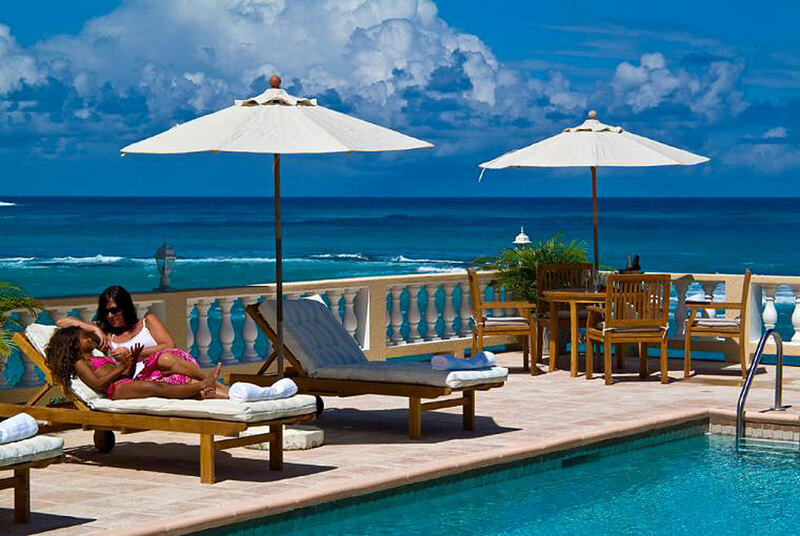 Dollars Included in rate are full breakfast, sunset cocktail hour, afternoon sorbets by pool, rental van with 8 passenger seating. 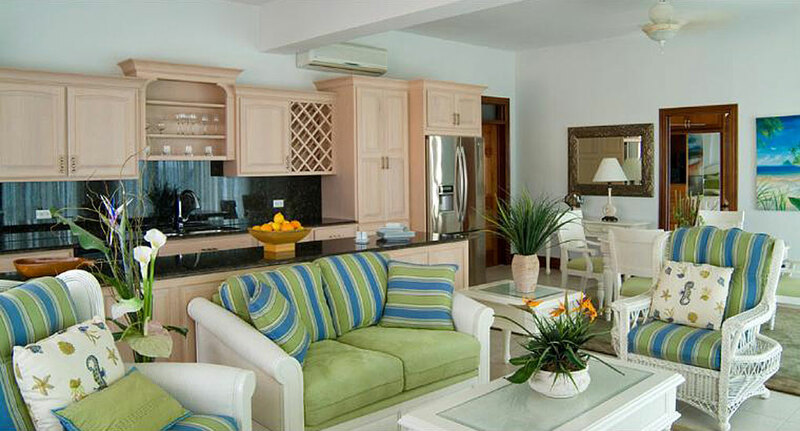 fully staffed and serviced villa. 50% deposit due to hold reservation must be received within 7 days with balance due 60 days prior to arrival, 90 days for the holiday period. If the reservation is made within 60 days of arrival full payment is required. If canceled prior to 60 days of arrival a full refund will be issued (minus $100 administration fee). If canceled within 60 days of arrival no refund is provided. Deposits on holiday bookings are non-refundable. Payments may be made via wire transfer or certified bank check. VISA, American Express and MasterCard are also accepted. Check in time is 4:00 p.m. and check out time is 11:00 a.m. Musical bands or large parties must be approved in advance by the owner or agent. Credit card required for $2000 security deposit.